Hey Yall, this is my third installment of the Holiday Recipe Club. This is a cute little club by Erin over at Big Fat Baker. One of this months ingredients is Beer. What could be more fitting than Guinness beer. It is a no brainer for Saint Patrick’s day. I know you guys are probably scratching your heads at this one. It really is good I promise. Combine sugar syrup and butter in a large saucepan. Stir to combine. When butter is melted, add in the condensed milk. Attach the candy thermometer and bring to a full boil. Mix constantly until it reaches 250. When the caramel is at the right temperature, remove the pan from the heat and add the beer. These look wonderful! I love caramels and I love beer. These caramels go I my must make soon list! What a great combination!! They looks so perfect! Yum! Mmmm, lookin’ good! 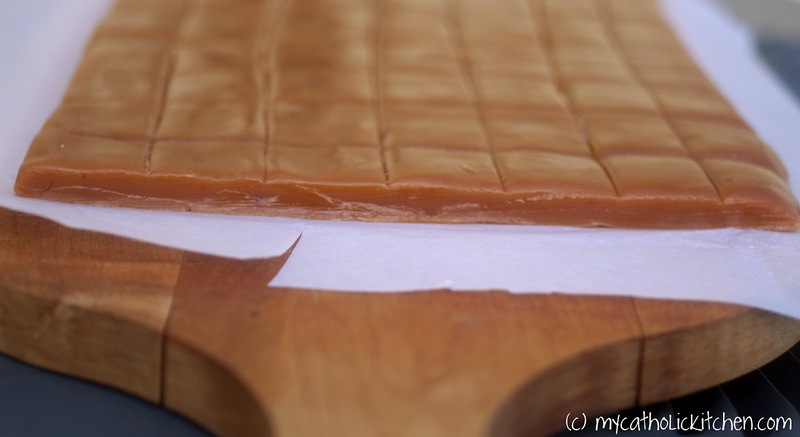 What a great caramel for this time of year! Oh I could totally find myself eating bite by bite of these! Oh my gosh, nom! It’s been forever since I’ve made caramels. I love the beer addition too, fabulous! Genius! I love making sweet things with beer. I have had some delectable Guiness gingerbread and I saw some chocolate cake with this Irish staple somewhere else. Great post! Fabulous idea! 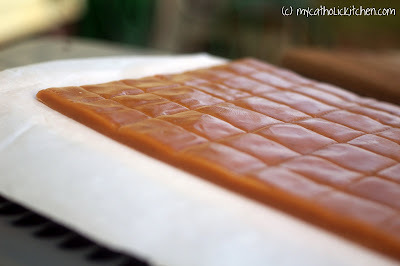 I love caramels…and adding a touch of beer must give a wonderful flavor. This is an amazing idea! Beer caramels, there is no way you can go wrong with that! Sounds delicious! What a delicious St. Patrick’s recipe! I absolutely love caramel and I can definitely see using the rest of the Guinness in a chocolate cake or something drizzled with caramel. But I would happily munch on the set caramels all day long! Love these! Great touch to add a little Guinness! Guinness caramels- wow! I bet that is a tasty combo, and it’s so creative. Love your instructions on what to do with the rest of the Guinness! Beautiful! We will be saving this recipe to make and enjoy.